I found another delicious and nutritious food item from Healthy You: Healthy You Toasted Cashew. Ingredients: Cashew, Hydrogenated Palm, Coconut Oil and Iodized Salt. •	It has a lower fat content than other nuts. •	It has oleic acid, a monounsaturated fat that is good for the heart. •	It has high antioxidant content. •	It contains copper which helps utilize iron in our bodies, eliminate free radicals, develop bone and connective tissue, and produce melanin. •	It has magnesium which is needed for healthy bone development. Developed by Robinsons Supermarket, Healthy You offers shoppers healthy food products at an affordable price. 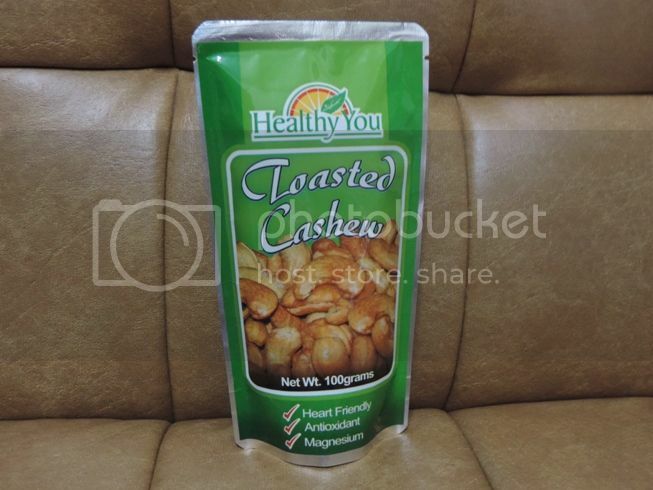 This entry was posted in Healthy You, Robinsons Supermarket, Toasted Cashew. Bookmark the permalink.